Many people have heard of vegetarians – a lifestyle in which people do not eat meat, fish, or poultry. The vegan lifestyle, however, is a newer trend on the rise. A vegan is a person who is a vegetarian, but in addition does not use or consume other animal products or by-products including eggs, dairy products, or leather. Health, environmental, or ethical reasons cause people to be vegan (1). This lifestyle is seen as promoting a more conscientious and natural world. 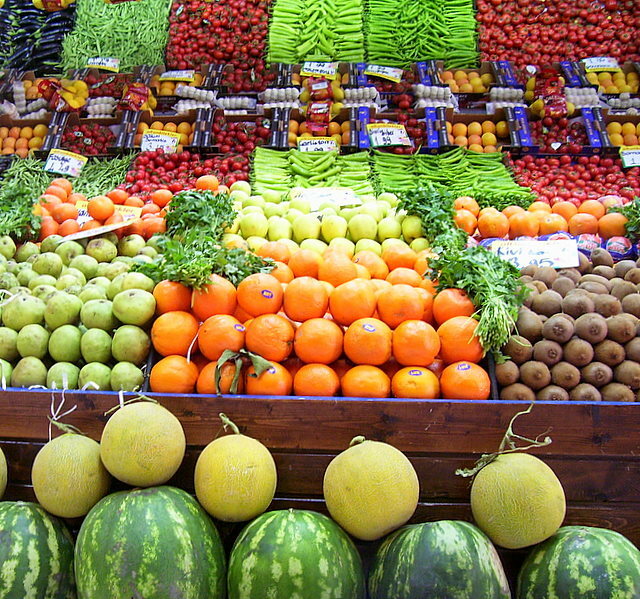 Vegans have more restrictive diets, so the key to a nutritionally sound diet is variety. They should incorporate fruits, vegetables, greens, whole grain products, nuts, and seeds because these foods contain essential nutrients and vitamins. Protein is one nutrient that can be more difficult to incorporate into a vegan’s diet because of the avoidance of meat and poultry. Poultry is a primary source of protein for the average American, so vegans must be creative in finding other protein sources. Vegans often eat tofu, lentils, peanut butter, and nuts to ensure adequate protein intake. Calcium is another nutrient of which vegans must be especially mindful. With the elimination of dairy products from their diets, calcium is more difficult to obtain. Since calcium is essential for strong bones, vegans must pay attention to their calcium intake. Dark green vegetables, and calcium-fortified soy milk and juices are sources of calcium for vegans. If vegans are concerned they are not consuming enough calcium from foods, a supplement can be incorporated. When going out to eat at restaurants, vegans may have trouble finding a vegan dish on the menu. The vegan diet is relatively new and still uncommon, so many restaurants have yet to accommodate these diners. Despite the various drawbacks of the vegan diet, there are also many benefits. The foods such as vegetables and seeds that vegans consume have large amounts of vitamins, minerals, and antioxidants without added calories, salt, and fats. This has been linked to a longer life span and reduced risk of cancer and heart disease. These nutrients improve physical health, but there are environmental benefits. Eating plants instead of animals is a more efficient use of land and water and produces less pollution. Consuming less meat means fewer industrial farms and fewer mistreated animals.